Branch out from your normal glaze routine with this herbaceous crust. 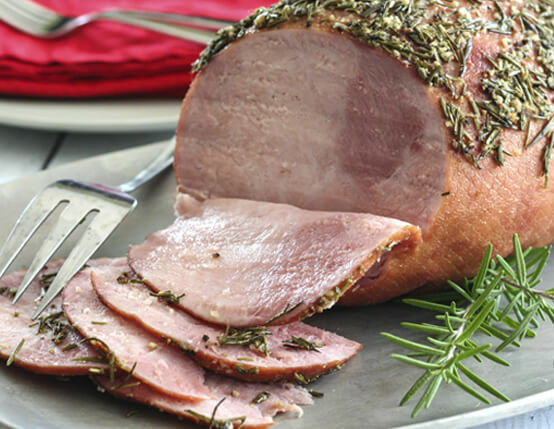 Our hickory smoked hams hold up well to the big flavors of rosemary and garlic. Preheat oven to 350˚F. In medium bowl, whisk together rosemary, garlic, olive oil, salt and pepper. Place ham on rack set inside large, deep baking pan. Spread rosemary garlic mixture all over top of ham and down sides. Add 3-4 cups water to bottom of baking pan and cover with foil. Bake until internal temperature reaches 145˚F, 1 1/2 to 2 hours. Great recipe!I Added honey at the end to glaze. 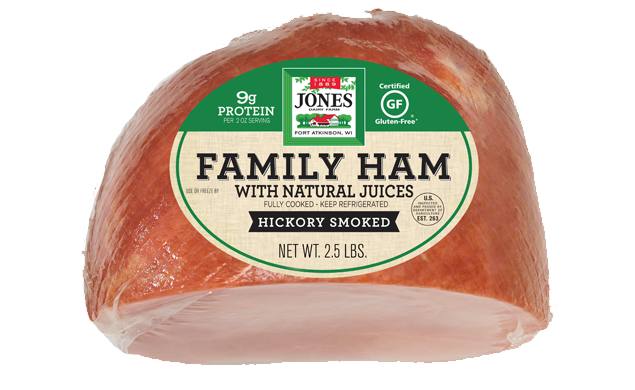 ​Good stuff I recommend this flavor.